The facility comprises 5 silos of 1.500 tons and a grain cleaning and drying system equipped with buffer silos. The installation has a loading and unloading capacity of 100 t/h. A new 5.35/10 silo for the dryer, with a capacity of 288 m3. A new chain conveyor for linking grain distribution directly to the drying process. 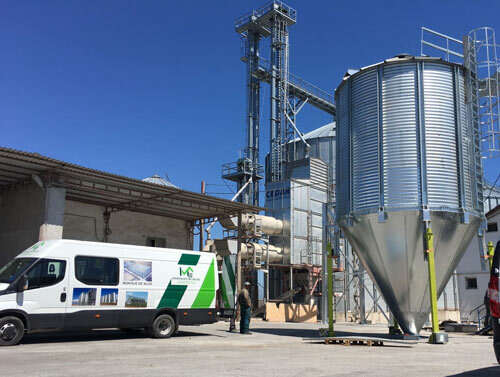 A new truck loading silo with a capacity of 100 m3. The installation is equipped with a SCADA system to manage the flow from the computer, also supplied by Silos Cordoba.